When you create a website using the Website Builder Tool, you select one of our design templates that range from simple layouts, such as Clean Paper, to more elaborate themes. 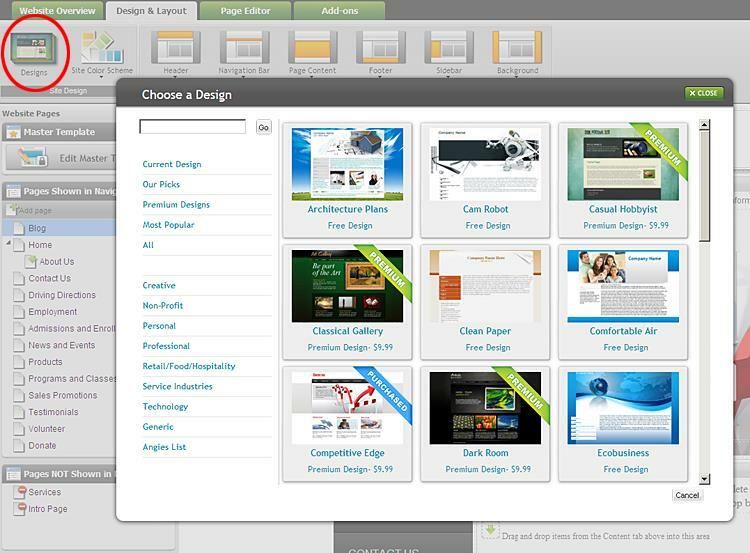 A wide selection of free and premium design templates are available for your website in the Website Builder Tool. 1. On the Design & Layout tab, select the Designs option. 2. Search for a design you want on the Choose a Design panel. You may also browse through available industry categories. 3. On the design you want to use, click the thumbnail image. 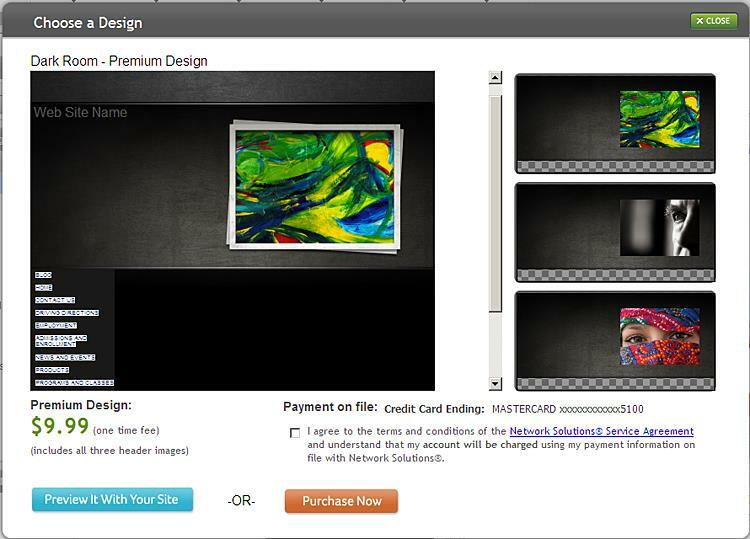 The design preview will appear featuring your website contents. 4. If this is a free design, you will be able to click the Select button to apply it to your website. For premium designs, please see below. You have changed the design of your website. As always, you can preview your new design the way it would appear on your live website using the Preview option in the top right corner of the page. Make sure to publish your website for your new design to appear live to your website visitors. 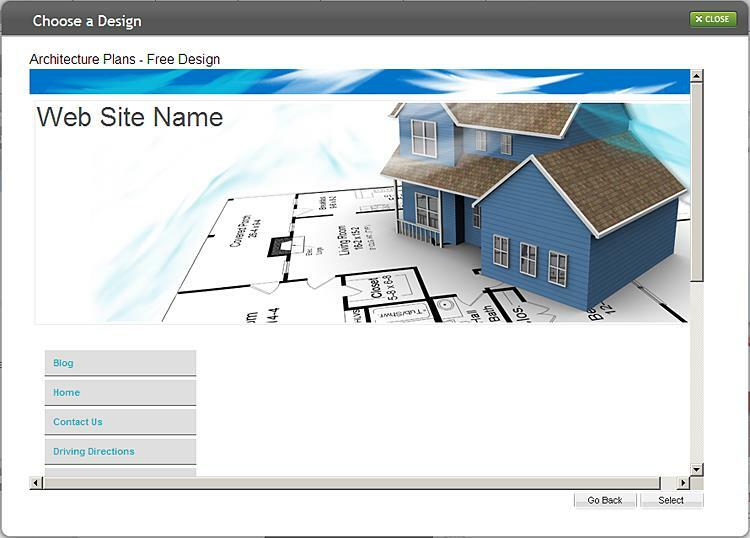 To customize your website design, use the options available in the Design & Layout area of the Website Builder Tool. You will need to purchase a premium design to apply it to your published website. You can try a premium design with your website contents using the Preview It with Your Site option in the Design Preview window.